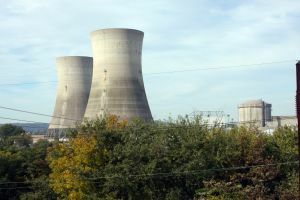 The Three Mile Island reactor in Pennsylvania experienced a partial, contained meltdown in 1979, with no casualties. Not all nuclear accidents are created equal. Like everyone else, I’ve been closely watching the events in Japan over the last week. The tragedies arising from the earthquake and the resulting tsunami are powerful enough to defy easy attempts at explanation. Still, that hasn’t stopped us from trying, and a tension has emerged between those who see in the disaster hubris on the one hand, tenacity on the other.